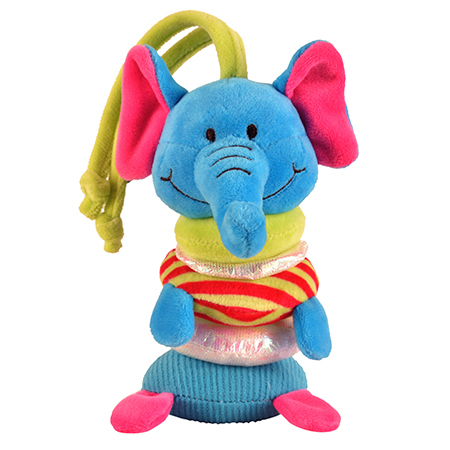 Babies will love these Buzzybody soft stretch toys! Pull and stretch the Buzzybody and watch it vibrate back in to shape with a buzz and a rattle! The fun fabrics are great for visual and tactile engagement as they are soft, shiny, crinkly, holographic, and corduroy! Use the cords to tie the Buzzybody to a cot or a buggy and let babies entertain themselves with these friendly faced characters for hours and hours. Plus theyre machine washable, meaning the fun is never ending!